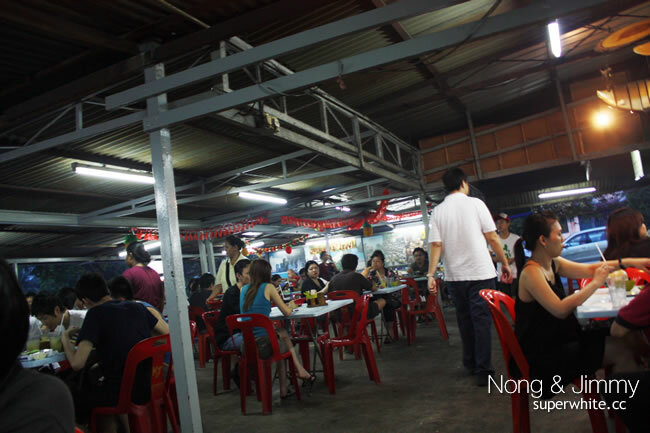 After Urbanscapes we go to Cheras and have seafood for dinner at Nong & Jimmy. Luckily was able to find a table without much hassle though it was saturday night. No air conditioning no comfortable chairs, but what we care was only nice food. 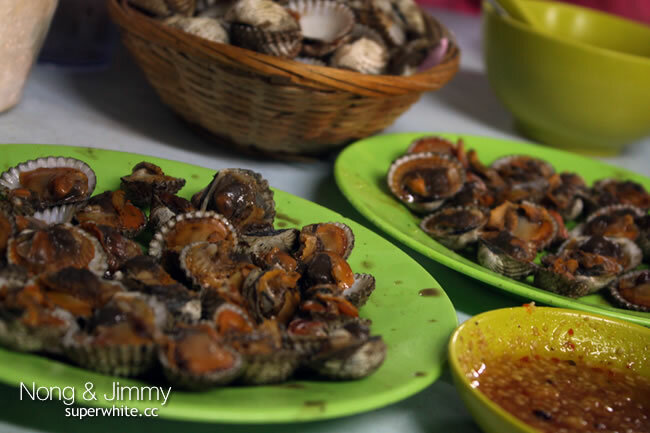 The BBQ Cockles, you won’t regret when taste with garlic chili sauce. 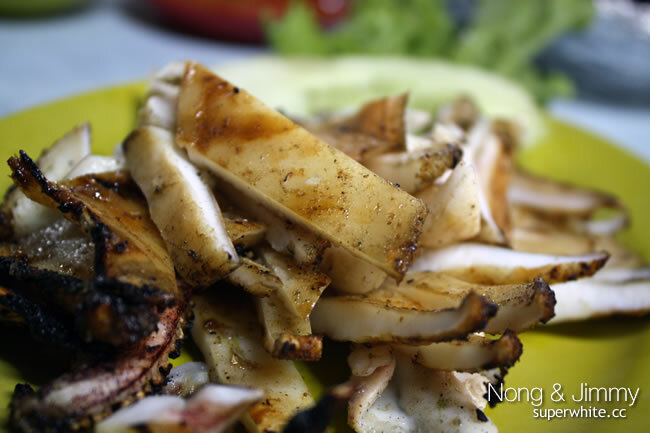 Barbecued Squid was one of the most rubbery plates, giving a good jaw exercise. 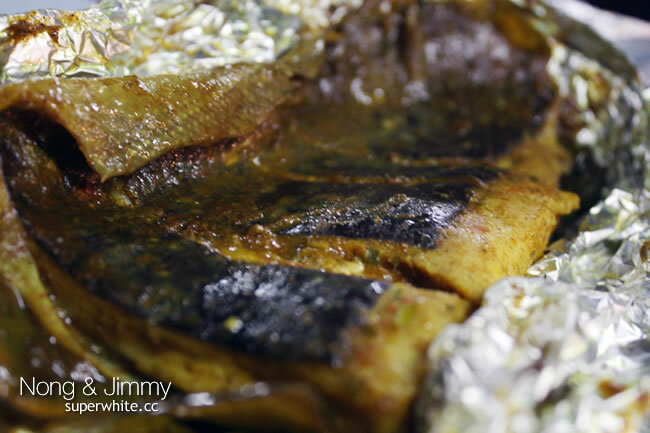 Grilled fish came wrapping under aluminum foil. The BBQ Cockles was too nice, we order another plate just to fill our stomach. 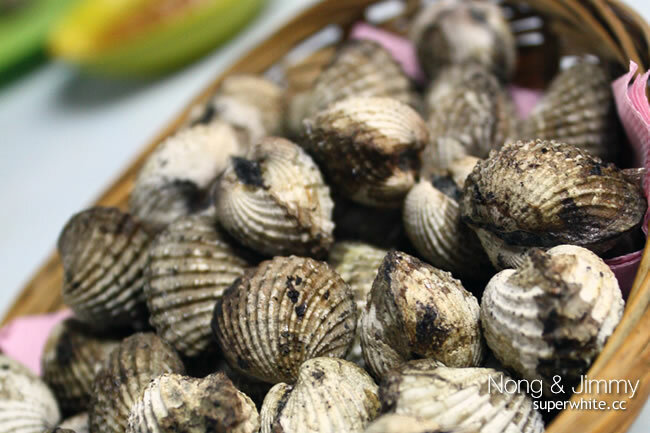 We also order the Tom Yam Seafood soup. Loaded with goodies such as prawns, squid rings, button mushrooms and I can tell you the tom yam is damn spicy.